Once you’ve invested on a good bodyboard, you’re going to want the perfect pair of swim fins to go with it. Finding the right fins can be tricky because not all fins are comfortable to wear; and this affects your performance in the water. On the other hand, there are swim fins that feel good on your feet; however, they lack the power that you’ll need to catch waves with ease. Ally Swim Fins offer the best of both worlds. Made of natural rubber material, these fins are easy to wear and light on your feet. They also come with a stiff blade design to give you power with every kick. Renowned surf photographer Clark Little swears by Ally swim fins. He says that after trying all sorts of swim fins; he has concluded that the Ally fins are the ultimate pair of fins for shore break photography. If you are looking for perfectly designed fins to accompany you when you go bodyboarding, bodysurfing or even swimming, consider any of the following fins from Ally. 3 Which Ally Fins should I get? Rarely do fins come with everything you could possibly want. Luckily, the Ally Floating Fins boasts of comfort, power, convenience and style all in one. Most of all, they float in salt water! If these fins have two-time Bodyboarding World Champion Andre Botha impressed, then you know that Ally did something absolutely right. If you are serious about riding waves, you’re going to need a lot of power. These fins were designed with a technical bat-tail blade supported by two stiff rods to provide the rider with the maximum amount of power with every kick and thrust. The rest of the fin is made of soft natural rubber, which helps the rider gain more acceleration at will. These fins were also designed with the rider’s comfort in mind. Not only is the foot pocket shaped to match the foot’s natural arch, it is also made of soft rubber material that doesn’t chafe or rub against your skin. The foot pocket also comes with a breather hole to ensure that water and sand can naturally be flushed out as you kick. The bottom of the fins is also ridged to provide you with traction. If you’re looking for real power, you got to be ready when these fins give you a boost like no other. Many riders were happy with the original Ally fins, however, there were still more advanced riders who felt like they could use some more power in their drive. The ERS 4 swim fins are the answer to those seeking the ultimate bodysurfing and swimming experience. The ERS 4 fins can be explosive, so you have to be ready for this kind of power. Designed to raise the bodyboarding and bodysurfing game, these fins come with a uniquely asymmetrical blade shape. At its widest point, the fin blade can harness a lot of power with every kick and thrust, but at the same time, its tip tapers thinly so you can make sharp turns in a split second. The ERS 4 fins were made with advanced drop knee riders in mind, which is why its ridged bottom is perfect for drop knee as well as crossing reef sections or slippery surfaces. Power isn’t the only feature that the ERS 4 fins improved on—the comfort factor in these fins is also incredibly satisfying. The ERS 4 fins come with V Thermo ankle strap that stays locked in no matter the conditions, so you can focus on your ride without worrying about a fin getting accidentally dislodged. The left and right foot molds of the foot pockets are also designed to adhere to the natural shape of our feet, and the breather holes on each make it easier than ever to flush out unwanted sand and other floating debris as you kick. No chafing, no blistering, no hassles. These fins feel so good; you might wear them for extended periods outside the water! Want to see how Ally Swim Fins compare with other top bodyboarding fins? Make sure to check out our best bodyboarding fins main page! Which Ally Fins should I get? 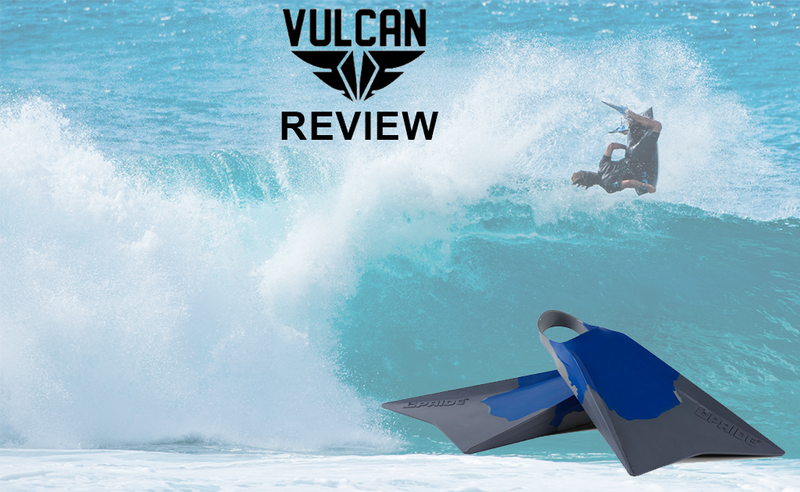 Both the original Ally Floating Fins and the advanced ERS 4 fins are good investments that will raise your bodyboarding, bodysurfing and swimming prowess. If you are a beginner, you will love how easy the original floating fins will make the riding experience for you. If you are a rider looking for a more technical shape that gives incredible power with every kick, then the ERS 4 fins are the right weapons for your arsenal. If you just want a reliable pair of fins that will float in the water, pick any of the well-designed and stylish fins from Ally.